Flat roofs are expensive to replace and maintain. 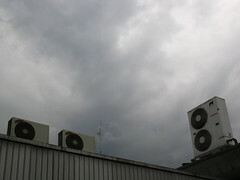 There are few simple steps owners that can take the eliminate possible roof leaks in the future. 1: Before winter inspect your roof and clean all the drain caps and make sure nothing will block the drain screens. 2: If it snows more than average during winter remove the snow off your roof yourself or hire a local roofing contractor in your are. 3: Once the spring is around the corner and it starts to rain, extra weight will be on your roof and it can cause major damage. Remove all the wet snow off your roof to eliminate structural issues. 3: If it’s start to rain on regular basis in spring be sure to inspect your roof and make sure all the drain filters are clean. If you make sure there is no extra weight on your roof and water runs down the drain off your roof, it will eliminate pooling. 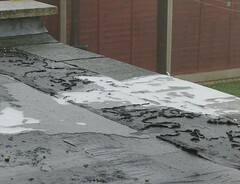 Most flat roof leaks are caused by clogged drainage. 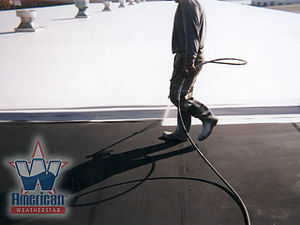 If you are looking to save few hundred dollars and have the extra time it is easy to maintain your roof. Be sure to take all the safety precautions when climbing or working on the roof. If you decide to hire a roofing contractor, make sure you see a proof of their insurance.